Our AS shampoo is specifically designed to break down chlorine molecules that attach to the hair during swimming, so your hair is as soft as when you first stepped into the pool. The special silk proteins protect against heat and color fade. Additional moisturizing ingredients make AS shampoo beneficial after all swimming, including ocean or lake, and often eliminate the need for extra conditioning. Use right after swimming. 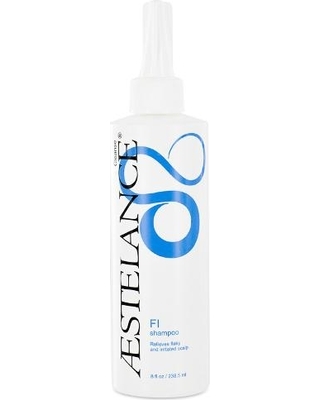 Apply a small amount to well-rinsed hair and leave on for a few minutes. Rinse thoroughly. If little or no lather was created, repeat. 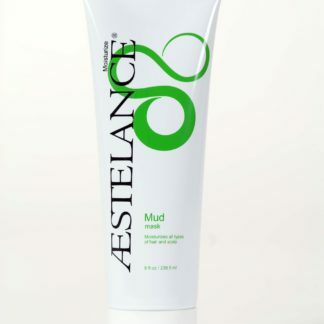 Ask your ÆSTELANCE Specialist to recommend moisture and design products to protect your hair before and after swimming. Also, keep your bathing suit looking great by washing it with AS shampoo.